Most of us probably don’t have this device and fewer yet know of its existence. To solve the issue, in the following article you’ll be find an extensive introduction to the top 9 best waterproof headphones for athletes and swimmers in 2019 and an extensive look into their advantages and disadvantages. To begin such an article we need to consider those who might be unfamiliar with these waterproof headphones and try to define what they actually are. Thankfully this is a very easy task as the name suggests their meaning, Waterproof Headphones, they are like our classic everyday ear-buds only with the exception that they are waterproof and as such can be used while submerged in liquid (preferably water), without running the risk of having them damaged or causing some sort of an electric shock to the user. Anyone can take advantage of these, swimmers and athletes being those that might seek their needs first for it can break the monotonous routine of swimming round the pool and turn it into an activity of leisure whilst enjoying our favorite tunes while head deep in the water. Quite the tease and quite the lure as these devices have proven to be very attractive to consumers who often jog and exercise, so why not extend this to one’s swimming as well? Depending on the quality and the brand of the headphones the period of time allowed for them to be in the water and the depth under the water varies. Some can go on for as long as half an hour whilst others for even greater lengths of time. As for the depth it ranges from 3 feet to almost more than 30 at best, depending on the product. They work similarly to ear-buds that are not Waterproof, in the sense that they too are plugged into a device, one like the iPod shuffle except that these devices too are Waterproof. An overwhelming amount of them work on the cord principle with the exception of some using the wireless variant. The short cord variant plugs into the main device just as it would into our smart phones. From the two points in the subheading above we’ll look at the former first and then the latter to follow the order of the points. So where can they be used and in what conditions? The scope of activities one can find themselves with the need for such ear-buds is quite abundant, they can be used in work environments for firefighters, special forces, coast guard, etc. Basically any working environment that could have some contact with water, but this doesn’t really concern us nor will it be the Waterproof headphones that we’ll be analyzing. The kind we are looking for are for swimmers and athletes who either sweat a lot or perform their training in the pool. Now to look at some of the characteristics that we need to be informed about before considering which ear-bud best suites our preference. Style/Design: With so many competitors in the market, we as consumers have the privilege and commodity to pick from a very wide range of colors, shapes and sizes that meet almost every one of our desires. So besides just the look we also want to find something that will rest well in our ear to avoid any discomfort and that too varies with the different types out there. Accessories: To fight off other competitors some brands have very unique concepts to how the ear-buds are charged, how they can be packed and kept and how they work. So this in the end it will come down to the ‘wow-factor’ and how much these individual complementary accessories tickle your fancy and capture your interest, but fret not for the options are quite intense. Sound: Perhaps the most important is the clarity of the sounds and how it affects the sound of your surroundings while you are using them, in that there are some ear-buds that whilst playing still allow you to hear some background sound. Which can also be a positive aspect in the safety concern department of these devices. The quality of product and the battery life: When we pay for something we want it to perform optimally and look good at the same time, whilst maintaining some form of affordability. This is why we have created the list of top 9 best waterproof headphones, to examine exactly that. To create a comparison of all these factors and which products best suite all these criteria. We would prefer the battery life to be longer than 6 hours and the materials to be quite durable while also maintaining some form of visual appeal. Starting in at 9th place certainly goes to prove the saying ‘last but not least’, as these headphones although placing last on our list are actually very impressive in their quality of audio feedback and attractive in terms of their price range (i.e. affordability ). There is a very large range of options to choose from and so scoring a position in this place is still position to value. In terms of the look, visually they are quite simple in shape and geometry but it’s this subtle look that makes the impact, making it very user friendly and not overly complicated. The price as of current standing is somewhere around the 37.00 USD price range usually not exceeding this figure, but there are often large discounts that can be taken advantage of and some that can even reach the zones of 50 percent. When you purchase this product it will come with a USB charging cable that can also be used to transfer files from and to your computer or laptop as well as charge the device. As well as this the product includes the headphones themselves that have a cord running from them that includes a spiral spring like section that helps with entanglement and keeps the length of the cord to a minimum unless an extension is otherwise required. A useful feature that can easily be overlooked as you don’t want the cord interfering with your swimming or hanging in front of your field of vision. The product also comes with an mp3 player, a tangible interface where you can plug your headphones into. This main piece has three buttons on it. One to play and pause your tracks, one for serving as the volume up key denoted with the usual (+) symbol and as such on the opposite end with a (-) serving as the volume down rocker. The buttons themselves have some inbuilt functions to enable flipping through tracks and turning the device on or off. These actions are achieved by interacting with the buttons in different ways, for example: To change songs a quick tap on the volume buttons will flip through the songs, depending on which button you pressed it will vary whether you skip a track forward or one back. If you were to instead hold the volume buttons pressed for slightly longer than, you would increase or decrease the volume. The last option is holding one of the buttons pressed to have the device turned on or off. The product comes in two colors one blue and one pink to add a little variation and increase the options for the consumer. The mp3 player also comes with a clip that can be used to attach the device to another item on the person so that it remains stationery. We have found that for men it is advisable to wear a swimming cap as this provides an object to which the device can be clipped onto and as well as this will help keep the ear-buds in the ears comfortably. If this option does not suit you than perhaps attaching them to your swimming goggles is an alternate solution. Or you could buy an arm band and attach it to that because although able to stretch to the pants they can cause irritation and annoyance as well as come unplugged during vigorous motion during swimming. The females have it easier in this regard as they can do all the following as well as use the straps on their bathing suits to attach the mp3 player there, not having to compromise their look with some sort of arm band or swimming cap, especially if they were planning a more elegant or leisurely approach to their swimming session. The device is just as easy to use out of the water as it is in. When it comes to the transfer of files to and from your computer, it gets no easier than the old drag and drop concept of pulling the selected files across with the cursor and placing it into a window designated for your device. Vice versa if you wish to take files from the device and copy them onto your computer you would only need to repeat the process. It would be wise to mention that the device comes with a 4GB storage capacity which you will find can store a couple hundred tracks, more than enough for a week of music before some tracks might start repeating over, of course depending on the regularity of their use. The device is charged also using the USB cable provided with this product. To begin the charging process all that is required is for the cable to be plugged into the computer and the rest is history. Keeping in the spirit of ‘last but not least’, finally we come to the most important aspect and that is the quality of the audio feedback. In relation to the price the audio is amazing! And perhaps even underestimated as the price can usually be found at discounted prices. The quality is hard to differentiate from wearing your normal headphones, they are small and fit snuggly in your ear and produce sounds that make you forget that you are wearing them under water. The water itself provides its own source of sound isolation and blocks out the sounds of your surroundings somewhat and so is some sort of natural noise cancelling factor, allowing a fully immersive experience in these amazing Driver 4G Waterproof Headphones. To conclude on our thoughts we are very happy with the device in terms of its value and product output; performance wise, with the expectation that there is room for improvements. For example although the spiral cord maintains some sort of short length the cord in itself is something that could be avoided in entirety with other competitors having headphones without this. Also the device could use some more storage space. Next on our list is the Aerb 4G Waterproof Headphone. It looks very similar to the Driver 4G in shape and size but has a few features that make it stand out a slight bit more. One can consider this an upgraded or a tweaked version of the Driver 4G. Unlike the Driver 4G this model comes in three variations of color, being blue, black and green. The finish of the surface is very smooth and it’s matt which is great in the case when using it in water because it makes it easier to grip and less likely to slip out of your hands and plunge to the bottom of the pool. As well as this there are grips on the side to further help in enhancing the grip. This model does not include an LCD display and relies solely on the buttons to perform all the necessary actions. In retrospect this is the same ideology as the Driver 4G implied. It has three keys on the front face of the mp3 player. It lacks any dedicated skip track buttons and so uses the 3 buttons in conjunction with certain varying actions to achieve different goals. The three buttons are the play and pause button, a volume up button denoted with a ‘plus’ symbol and finally the volume down button represented with a ‘minus’ symbol. The volume up button increases the volume if held down or skips tracks forward if pressed quickly. Similarly the volume down rocker does the same only it skips tracks backwards. The play pause button is used also to turn the device on or off by keeping the button pressed down. The buttons pop out from the surface slightly to allow for better interaction, but do require quite a bit of pressure to be applied to actually be pressed. But this is not such a bad thing as you don’t want these buttons being pressed accidentally when swimming or exercising. Along with the buttons there is also a small LED that lights up when the device is on or charging to let you know its current behavior and a hole on top for the 3.5mm head jack to come in. The product comes with a USB cable and a set of headphones along with the main body of the device. The USB cable is a 3.5mm head jack on the one end and a USB on the other to allow for both charging and transferring files. The ear pieces look quite odd in shape with a sort of cone like figure, which is meant to further improve the water resistance and enhance the audio. They have a loop that extends around your ear to keep it fastened as you swim also referred to as an ear hook, but wearing a swimming cap while using them might be the most advisable option, just to be sure. Again just like the Driver, the Aerb 4G comes with a cord with a spiral to help keep the wires from entanglement and short in length, also to avoid unnecessary distraction. But this is also a flaw as the cable is still quite short and has a hard time reaching your trunks if you are a opting for this choice. The device includes a clip that is used to fasten the Aerb 4G onto a piece of your swimming costume, head gear or swimming cap. The clip is very easy to use and holds firm. The device uses a lithium battery and has a charging time of about two hours, but thankfully it can last you a whole days worth of listening to your favorite tunes. The device has some smart features built into it to save on the battery life, for example if unused for 30 seconds the Aerb 4G will automatically turn off. This is useful if you often have the trouble of forgetting to turn your devices off and the end up depleting your power reserves. The transfer of files is very easy and could not be simplified any further, it’s just a matter of copy and pasting the desired music into the folder for the device or vice versa from the device onto your PC. The Aerb 4G is good in that it recognizes and supports files such as wma and mp3. This will save you time in finding programs to convert your music all to mp3. The Aerb 4G also comes with 4 Gigabytes of internal storage space which should be more than enough for a couple of hundred tracks to keep on rotation. Finally we come to the sound and the quality that it provides when we use them. First off they are very loud and thus you will not have to worry about not being able to hear them while in the water, but be aware not to overdo this as it might cause damage to your hearing over time. The audio reproduction is not the best but it is quite satisfactory and can be quite accommodating for your casual swimming routine. The ear-buds do a good job of projecting the sound and creating a sort of 3D atmosphere. The benefit of such a device is that it can be used as a normal mp3 player as well, whilst also having the option to be submerged into the water without threat of damage. Meaning that you can put your own pair of headphones into its 3.5mm head jack and play away. The price comes in around 43.00 USD and is quite an affordable counterpart to the other competitors out there on the market at the cost of slightly worse sound quality. In retrospect this has made the list because if you aren’t planning to spend a whole months pay on a pair of Waterproof Headphones but would rather have the luxury of owning a pair just for the pleasure of listening to music while swimming then this is the product for you. Let’s talk a little about what you’re getting with your purchase. This product is a multi piece package sporting a wide variety of components that make you feel spoiled. First is a set of six different ear-buds out of which two are your Waterproof ear-buds, that have a thin layer of plastic covering the opening at the top, making sure they are water tight. The other 4 pairs are your normal pairs of ear-buds. They come in different shapes and sizes so you don’t have to worry about finding a fit that will suit you, there are more than enough options. Next we have a small remote control that fits snuggly round your finger like a ring. The remote control has a multitude of buttons covering the entire scope of actions required to make sure you are in control of what is happening at every moment. The remote control is not too large and does not interfere much in the water. The material is of good quality and feels very durable. Another component is the charging dock, that is used to charge the headphones by placing them to sit inside the inbuilt compartment. The charging dock is connected via USB to a computer to charge the headphones. Finally we have the headphones themselves. They look very solid and durable at no cost to their visual appeal. The quality of the material is very fine and makes them look quite expensive as well as stylish. The headphones come with their own set of buttons on the underside in case that you opt not to wear the remote control. The buttons are of different shapes and sizes so that you can differentiate between their functions and allow for easy interaction without having to remove them. They have a band or strap that connects the two headphones and hold them in place around your head. Surprisingly even though they do not look as though they are quite as light, they are. It’s hard to even feel their presence when in the water. Although it is advisable to place your goggles and swimming cap on before placing the headphones as water could get into the ear pieces if they are out of the ear for some time. The depth for these headphones comes to around 3 to 4 feet. The Sony Walkman has a useful feature that allows you to skip through tracks a few seconds per track. It keeps going until you find the one you want to listen to before stopping the process and playing the desired song in its entirety. This feature is called the ‘zappin’. As well as this you can download an app onto your smart device called Sony Song Pal to allow you to listen to your favorite jams through the app on your smart device without having to have them on your Sony Walkman. The file transferring is very simple and follows the same principle as did the rest thus far. It’s just a matter of dragging and dropping things to where you want them to be. This is done via the USB cable provided. The battery life and charging time is something worth mention. The battery life is decent and can last some 8 hours of intense use. The brilliant thing is that with just 3 minutes of charging you can squeeze out some 60 minutes of playback time, which is quite astounding. This is great from the other two options before it because they take a significantly longer time to charge as efficiently and today we want our technology to always be all the more readily available. The sound from these headphones is really quite appealing. The volume is good and the difference when under water is very small. They can serve both as normal headphones and as their Waterproof variant with slight differences. The wide choice of options for the ear-buds allows you to vary the intensity of the bass and noise cancellation besides just being more or less comfortable. With the wide range of components coming with the product and the fact that it is produced by Sony the price for these headphones is slightly more expensive than the previous two, coming in at 149.00 USD. Although this is a fair bit more pricey we have to consider what we are getting. So in those terms when we look at all the individual components and the remote control, it’s quite a fair bargain. Also the addition of the app and wireless connectivity definitely makes a big impact on our decision making process and puts the Sony Walkman a step ahead of its competition. So if you have the money and want something a bit more expensive but definitely more practical than you are looking at the headphones for you. Next up comes the SYRYN 8 GB Waterproof Headphones at 6th place. First off we have to acknowledge their visual appeal. They look stunning, the contours and shape of the mp3 makes it almost look like a pair of remote control car keys. The colors are vibrant and the design is simple yet very effective. The quality of material is durable and soft smooth to the touch. They are easy to hold with a good grip and have a clip on the back for easy attachment. The clip is very strong and you won’t have to worry about the mp3 coming loose as you swim. The mp3 is one of the better available options enabling the user a phenomenal depth of 10 feet beneath the surface. This is almost twice as much then the previously examined products. The SYRYN 8 GB also has a cord but unlike the Driver 4G or Aerb 4G the cord does not have the spiral but is although significantly longer. So you can clip the mp3 on your swimming trunks and run the cord behind your back without having to think about it much. It does not snag and causes little to no interference when in the water. So although it does come with the cord some of the disadvantages have been averted. Clipping the mp3 player should not pose too much of a problem. Men will find that clipping it onto the trunks is possible but if they prefer an alternative option then this too is possible. They can attach them to their swimming caps or goggles out over the back. Woman have an easier time with this as they can attach them to their bathing suits which is closer to the head and they don’t need to wear a cap or goggles to do this. The mp3 player offers a big improvement in terms of internal storage space, sporting an 8 GB data bank. This is more than most of us will ever need for our music alone. This will surely keep enough tracks available to keep you on rotation for several months. The transferring of files is as you would imagine at this point very convenient and easy. Again we are looking at a drag and drop concept via a USB connection to the PC. This allows people with poorer computer skills to suffer less hassle when working around putting songs onto the mp3 player. In the package you get an mp3 player, a pair of Swimbuds headphones which are currently one of the best if not the best on the market for the Waterproof headphones category. A cord extension if you choose to wear them the full length, clipping them down by your trunks and several different sizes of waterproof ear-buds. There are a lot ear-buds included so finding a size that fits you should be very easy. A USB cable for charging and connecting your mp3 player to the PC for transferring songs. The Swimbuds headphones are an amazing addition to this product as the quality of audio feedback is exceptional and offer very good bass. The sound of this product is one of the better ones from the range of products we will look at you can be quite confident that you will truly enjoy your time with them. They perform well under the water and do not muffle any of the sound. You can pick up on some mid to high notes in the songs too just as you would with a very decent pair of headphones that aren’t waterproof. The mp3 player has 3 buttons on it. Two with the symbol for skipping forward and backward and one play pause button. The track skip keys are intended for just that but as well as this have to other inbuilt functions. One is to increase the volume by holding the corresponding button pressed for several seconds. The other function is to enable a shuffle mode. This is achieved by simultaneously pressing both buttons and holding them pressed for a little bit. This is a very useful feature that some products do not include, especially not with such easy access. The play and pause button is also used to turn the device on or off. The mp3 player also has an LED which helps communicate with the user. There are several different colors that tell you when the device is charging, when you’re changing volume, changing songs, enabling or disabling the shuffle mode or when there are no readable files on the mp3. This is done by flickering 5 red LED lights followed by 1 blue LED. This design is very interesting as it keeps things simple and yet reciprocates a lot of information back. Also its very easy to learn and get used to. A big plus because keeping things simple is always a good thing. So to conclude this product comes in at some 60.00 USD, which is a very reasonable price considering that a pair of Swimbuds headphones are included in the package. The downside to everything is the cord and honestly the cord is always a nuisance and is always better if avoided. So this is the Achilles Heel of this product. Otherwise it is very affordable and packs quite the punch. The sound is great, the depth is better than the other products and design is very stylish. The battery life is between average and slightly above average. You will have several hours of play time, easily enough to cover your days routine and the charging time is also rather quite decent. Definitely would be advisable to strongly consider this option as your got to buy, seeing as the other products of similar or equal price do not offer some of the benefits that you get from the SYRNY 8 GB. Straight out of the box there is something quite different with this product. It does not come with an mp3. There are only the pair of headphones. This might seem like little but honestly this is in some case exactly what some of us are looking for. Less things to over encumber us and have all sorts of things hanging and dangling off our swimming costumes. It’s plain and simple. Very straight forward if you will. The pair of headphones is completely wireless and connect via the advanced 4.0 Bluetooth technology, although some customers have reported problems with connectivity, so keep that in mind when purchasing them. They remove the hassle of having a cord swinging around your neck aimlessly and pose almost no interference when you’re working out or swimming. Although being Waterproof they are more for exercising in and for sweat than for swimming, but both are still possible. This should not deter you from trying either. So don’t be afraid to take them for a dip. The design is quite unique and very simple. The headphones are coated with protective nano coating for improved water resistance. The colors are vibrant and bright, really help the device stand out. The material looks quite durable and tough. The buttons are solid and quite hard to press which is good as it avoids accidental pressing of keys. The buttons are well incorporated into the design as it follows the pattern of the curves and is completely disguised in the whole concept. You have 3 buttons, again sticking with the idea of being simple. You have your volume up button, your volume down button and your power button. The headphones have an additional ear stabilizer that can be optionally detached if you so choose. It’s made of a sort of rubbery material and helps keep the headphones in place while you are swimming or exercising. There is also an LED at the top to let you know when the device is powered on. The headphones have an inbuilt microphone which will let you talk over your smart phone or just simply listen to music and produces good audio feedback. Another great point is the super lightweight of these headphones. They are very light and because they are so simple are very easy to store and carry around. This is a big plus because most of the other products have a lot of additional accessories that can at times be quite unnecessary and just bump the price up. So at 25.00 USD you really aren’t spending a lot and you’re getting exactly what you need. So the final verdict comes down to three things. Price, mobility and practicality. The device is one of the cheapest you will find that can get the job done while still looking appealing and being lightweight and easy to carry. All this and it’s still very practical, you can swim with it talk to Siri or your friends, listen to music and run while wearing them. More than enough for a very fair and affordable price. The sound is great and offer good bass. They do not lack in this department and are definitely worth trying out. It was hard to decide where these headphones would end up on our list, as the amount of features that this device provides is almost unparalleled to the other products. Truly living up to the Apple brand and making a big impact on this list. It’s probably the product with one of the most features and functions available to the user. Which is great as this gives the user a lot more options to play around with. The more to choose from the better. At first glance the iPod shuffle looks epic. The build quality is impeccable and are visually absolutely amazing. The material is of the finest quality and extremely durable. The surface is smooth to the touch and the design is amazing. Although a lot of us are familiar with the iPod shuffle its design and look is a thing worth of note. It comes in a huge variety of colors and will easily be able to match anyone’s preference. Out of the box you get the iPod shuffle, a pair of waterproof headphones, a Velcro strap to optimize the length of the cord and a plethora of ear-buds to choose from. The ear-buds come in different sizes to fit all ear sizes and come with both the waterproof ear-buds and the normal ear-buds intended for use on dry land. The cord is above average in length and will easily reach your swimming trunks. The cord is of durable material and yet is very flexible. The cord comes with ear hooks to twist around the ear and hold them in place while you are swimming. Some might find this to be somewhat uncomfortable, but fret not, as they can be removed with little to no effort. Again the customization and options offered by this device are truly spectacular. The quality of the sound is astonishing. There is no chance that you will feel disappointed with this aspect of the product. The bass and treble really make their debut in this list as being the best so far. The bass comes out really well even when your head deep in water and the quality of sound barley changes when you’re swimming. You can without a doubt have a fully immersive experience listening to this device as you go through your laps. The functions of the buttons play a huge role in the appeal of this pair of headphones in our list of top 9 best waterproof headphones. Its hard to decide where to begin with all the options. The feature that probably sticks out the most is that the iPod Shuffle supports multiple playlists. You can use iTunes to create your playlists as well as transfer songs onto the iPod and so when once these playlists are made can then be selected via the voice over button. The voice over button is a dedicated button located on the top of the iPod shuffle, that when pressed and held in, speaks out the names of all your playlists in a predetermined order. From there you can navigate through the playlists via the skip track keys and can pick out exactly which playlist you want to listen to. Another cool function is the lock function which basically locks all the buttons so that you don’t accidentally change through songs midway or tap any unwanted buttons. This option is activated by pressing and holding the play/pause button. Vice-versa to unlock the iPod you just simply repeat the process. As well as this the skip track keys can also fast forward or rewind songs to certain parts by having those buttons held in, respectively. The iPod shuffle does not have as much storage space as other products which is its greatest downfall, with only 2 GB of space. But even this isn’t so bad as it’s still more than enough for a few hundred songs. But the battery life saves it, as it can run for up to 15 hours. This is more than a lot of the other products by a mile. This is great because it avoids the need to have the iPod hooked to the charger all day, everyday. The iPod has a clip as do most of these devices and can easily be attached to the goggles or a woman’s bathing suit and with the long cord length, male trunks as well. If you prefer to have them somewhere closer to the head and find the cord an annoyance, do not panic. The Waterproof iPod shuffle comes with a Velcro strap that can be used to shorten the length of the cord and can also be hooked to the goggles. The clip is strong and you don’t have to think about it coming undone anytime soon. The water resistance is very good and the iPod does not suffer for swimming up to depths of 5 feet or slightly more. The ear-buds too are very well made and efficiently stop any water from finding their way inside the ear. All in all the satisfaction that this product provides is really unmatched in many ways. Perhaps the storage being its only weakness, but other than that everything else is exemplary. The price is a bit more than most coming in at 130.00 US. A little less on the affordable side, but if with this product you know what you’re paying for and you know that you’re getting a very good deal. There is no going wrong with this. So if you are thinking of buying a pair of Waterproof headphones think hard and well, because this could easily be the pair for you. This pair of headphones made our third place on the list because for the price alone. With the finances it takes to purchase other products on this list, these Travelon headphones come at an eighth of the cost. They cost somewhere around 12.00 USD which is insanely cheap! These headphones can serve perfectly as a test platform for finding out whether Waterproof Headphones are even the thing for you without the threat of overburdening your budget. So essentially this makes top priority as it should be your first purchase out of any headphones in this category. Just to serve as an initial probe into this variety of headphones. Also headphones can be easy to miss place or lose, so if this is to happen with these you won’t be overly touched as a new pair will not set you back too much. Although being very affordable the sound quality is very decent. You obviously cannot except it to replicate the sound quality of something like the SwimBuds headphones but you can be sure that they will do fine to satisfy the basic desire to enjoy tracks while swimming or exercising. Remarkably these headphones one of the highest available depths that headphones can sustain underwater. Considering their price this is quite shocking. Although it is not advisable to take them too deep. But they have survived being dropped up to depths above 60 feet without being destroyed or ruined. They are of rather rudimental design without a big option of colors available but this should not deter you too much as they are again very cheap and if you find that you like the idea of Waterproof headphones you can always treat yourself to a sweat upgrade. The headphones sport a rubber ear hook as we have seen before to keep the headphones firm in place as you swim or run. They are sturdy yet flexible enough to avoid any irritation or discomfort. They have been tested as resistant to salt water corrosion so you can take these with you on a summer holiday without having to stress over them much. The headphones are connected via 3.5mm head jack, the traditional input method and are thus not wireless, so rely on a cord to get the job done. Thankfully the cord is long enough so you don’t have to worry about that issue. While swimming you can toss it over your back and plug it in from the back to avoid any annoyance from the cord. Their greatest downfall would be that they do not come with an mp3 player which is unfortuanate but yet on the other hand also a good thing. The reason why is, if you already own a Waterproof mp3 player then you now have an inexpensive option to hook yourself up with a cheap pair of Waterproof headphones. Another great reason is that some mp3 players are quite expensive and come with a certain type of headphones. If you don’t like the pair of headphones that that mp3 player comes with or vice versa, you are stuck. But in this case you can opt which mp3 player to buy yourself. This can be a slightly more expensive one or a cheaper one depending on what you’re looking for and so adds a bit of flexibility in terms of your spending alternatives. So in some sense this might even be better as it leaves you with more cash to play around with. The method of transferring files and storage space available will have to vary depending on the type of mp3 player you get as these are only headphones. As you can see these headphones have all the basic necessities covered. Average to decent sound quality, ear hooks to keep them sturdy and good cord length. The range of flexibility with this product is the thing that you can take advantage of most in this case. The amount of money you save as compared to the other products in the list is worth taking notice of, so take full advantage of this and buy your parts individually to make a completely personalized set of headphones for yourself. In at second place we have one of the best Waterproof head phones currently on the market. The Swimbuds Sport bundle. These headphones are comfortably the pair with the one of the best audio reproduction qualities out there. Even underwater the sound is crisp, the bass empowering and the treble very impressive. All this truly makes for a completely immersive experience while taking your laps underwater. An amazing piece of engineering that does its job as intended. In this bundle you get the amazing SwimBuds Headphones, the Waterproof zip up case with the SwimBuds logo on top, an iPod shuffle, another little carrying pouch for taking your headphones to the beach or the pool, an extension cord and a wide variety of Waterproof ear-buds. In this bundle you probably get the biggest selection of ear-buds from all the possible choices thus far. They feature some of the most innovative designs and widest varieties of fits amongst all other competitors. There are 4 different types of ear-buds, the first being the classic ear-bud tip, the classic waterproof tip, a new fin like ear-bud tip and finally an ergo tip. The fin like ear-buds have the most comfortable fit of the available pairs but take some practice to get used to putting them on. Although once on they provide exceptional sound quality. The Ergo tip has a bit better sound quality but the fit is not as good. The headphones themselves are white in color and have the SwimBuds logo on the ear pieces. The cord is of strong material and of equal flexibility. The headphones are not particularly unique in look or design but they make up for this difference in their audio quality and wide variety of ear-buds. So all in all they are more practical than they are visually appealing but the iPod shuffle definitely comes to the rescue in terms of appearance. The addition of the iPod shuffle is an excellent choice of mp3 player for these headphones and is one of the most versatile mp3 players in this list. This iPod shuffle featured in the bundle is completely waterproof and looks amazing, as expected of an Apple product. It come in many different color variations to choose from. Considering the fact that we are working with the iPod shuffle we can take advantage of the iTunes synch capabilities and playlist creation to further increase our options for listening to this device. The iPod shuffle is a clip on mp3 player and can be attached to male swimming trunks with the addition of the cord extension or a woman’s bathing suit. If you prefer to have your cord shorter and reduce the likeliness of entanglement than you can opt to clip the iPod shuffle onto your goggles or swimming cap. This way you don’t have to use the extension cord and thus the cord length will dramatically shorter. The price for these headphones alone is around 70.00 USD, which is not at all bad. A very manageable fee for the quality of the headphones themselves and for the dominant sound quality that they provide. This price does not take into account the iPod shuffle although the bundle will offer the iPod shuffle as an addition to the headphones for an added cost. These headphones are currently the best on the market in terms of the ones covering the waterproof aspect of headphones. They might not look as revolutionary as some of the other ones in our list but are by far leading the race as far as audio quality is concerned. So think about whether you want this product in the bundle that comes with the iPod shuffle which we highly suggest as this mp3 player is also one of the best on the market currently or if you want the headphones standalone. Either way this product comes in at second place because whatever you choose here you are making a good buy. As well as this you get a lot of dedicated carrying options and customizable add-ons to play around with. Finally we come to our number one. The product that made it first on our top 9 best waterproof headphones list, the FINIS Neptune Waterproof Headphones. They are is so much to say about these headphones that it is difficult to decide where to begin. Maybe it’s best to start off from what you get in the box. So the composition of this product includes two ‘Hydrodynamic clips’ and the Neptune mp3 player. The Hydrodynamic clips replace your conventional headphones and thus use a patented method of bone conduction to get the sound to your inner ear. This is a completely revolutionary design in this field and brings a handful of perks with it. The hydrodynamic clips attach to the straps on the goggles and thus rely on them to be worn effectively. They then transmit the sound via vibrations to the inner part of your ear to be detected as sound. Making it seem like the sound is coming directly from the inside of your head, creating a completely immersive environment. The perk of having these hydrodynamic clips over your conventional headphones is that they do not go into your ear directly. This avoids looking and trying to find the perfect fit for your ear-buds. This also makes sure you don’t have to worry about the headphones falling out of the ear as you swim and leaking water through. Which unfortunately seems to happen often enough to be of annoyance. Not only this but because they are not directly in your ear you have an oversight of what you are hearing around you. The water provides its own form of noise cancellation so it makes the whole idea work in perfect synchrony. The hydrodynamic clips which we will from now refer to just as clips for the sake of making it easier to follow, have a set of buttons on them as well. There is the play/pause the skip track keys which double over as volume keys if held in for a while and an on and off button. The keys are a bit tougher to press to avoid accidental pressing but do not cause too much hassle. Their positioning will take some time getting used to as you cannot see them on the side of your head. But this is where the Neptune mp3 player comes in. The Neptune mp3 player is the only mp3 player on our list of top 9 best waterproof headphones that has an in built mini LCD screen to allow for easy navigation and insight into your songs or files. It looks very appealing and comes in a sturdy casing with a smooth finish on the surface. The mp3 player has a multitude of fancy and effective features. It has a customizable screensaver, an equalizer, a shuffle mode, a multi language option, a power save mode and an option for selecting your favorite playlists. Truly an exceptional range of choices to pick from. The equalizer is an addition that makes it first appearance on this list in this device and is a great add-on for setting the tone and bass up of your sound just the way you like it. The shuffle mode being an obvious addition and the power save coming in as an economical option to saving some dear battery life. Navigating the interface of the Neptune mp3 player is extremely easy and takes very little time to master. There are only a few buttons on the device which contribute to the ease of navigation. There’s an up and down arrow for going through menus or songs or increasing and decreasing the volume, a play/pause button and a shuffle button. The Neptune attaches at the back of the head on the strap of the goggles and so the whole product is very reliant on goggles, so make sure you take them with you when you go out for a swim. The cord is very short for the FINIS Neptune Waterproof Headphones so it won’t reach your trunks but it is not intended to be worn in that way either. In this way it is not a nuisance and hardly causes any disturbance to the user while swimming. The battery life is somewhere around 8 hours with a charge time of 3 hours to fully charge the device. Not the best in terms of these specs but definitely not enough to deter buyers. The storage space ranges from 1 GB to 4 GB depending on the mp3 player you choose. The mp3 player comes with a USB cable that can be used for both transferring files and for charging the device. The USB plugs into an opening on the Neptune. The file transfer is a matter of dragging and dropping in the order in which you want the tracks to be played as this does matter. It’s compatible with mp3 and wma file formats and works on Windows versions as well as on Mac PC’s. Another great feature for this device is that it actually has tech support! Yes, tech support. So if ever you need some helpful advice or troubleshooting you have a place to ask. The quality of the sound is absolutely unique and very good despite the rather unconventional method of audio reproduction. The sound is crisp and sounds very clear. The price for the FINIS Neptune Waterproof Headphones will set you back about 90.00 USD. Looking back at our list you will notice that this is a very affordable price considering the advantages at hand. A lot of the devices here are more costly for half the features included here. In summation this is the best product in our list because it accounts for the best features in all aspects that we have looked for. The cord is very short, battery life is decent, depth is good, sound quality is great, it has easy navigation, includes a lot of features and finally is cost effective. So if you are looking for a pair of headphones, than look no further than the FINIS Neptune Waterproof Headphones. We have taken a look at a lot of different types of headphones, ear-buds, ear pieces and tech in our list of top 9 best waterproof headphones in 2019, so let us take a look at everything in a broader sense. 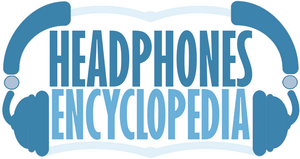 There are many variations of headphones in this list. Some are just headphones some include mp3 players, some are better for exercising while others for swimming, some have specialized ear-buds some don’t. The point is there are so many options to suit individual preference that in the end it comes down to two things. Which pairs of headphones you think suit your needs best and which of those are then within your budget. There are some that are very cheap like the Travelon and some that are not quite as cheap, like the Waterproof Audio Headphones with the iPod shuffle. So it’s important to consider this before deciding what to buy. The changes from product to product don’t always vary too much and you will notice that some things between them are very similar. Perhaps money isn’t even an issue. Perhaps you are rather looking for something slightly more stylish or comfortable regardless of price. This is the reason why there is a multitude of various Headphones that have been handpicked because of their certain underlying qualities. For example a something that we considered strongly was the advantage of having a wireless mp3 player or headphones over one that uses a cord, as the cord although making the product cheaper has a tendency of being a nuisance. We want to avoid things that might burden you or cause you to avert your attention from enjoying your swim or exercise to fiddle with some technicalities. It is the whole package we are trying to show off in our list something that can fulfill a practical role in our lives and offers the best entertainment model for the lowest or at least most affordable price range to the average consumer. Space, storage and file transfer varies least amongst the models in our list, although there are some exceptions. In terms of storage this is not even that important as even with 1 GB of space you can approximately fit on average around 220 songs. This is quite decent and can comfortably serve you for a long enough time before new files need to be added. In terms of transferring files almost all the devices support both Mac and Windows operating systems. You will find that the aspect of managing and sorting your files is done with ease and takes little to no skill to get used to. Something to bear in mind is that although the headphones and ear-buds are created to ensure a water tight seal they do fall off from time to time and cause a bit of water to leak in. This is not terrible though but can be slightly annoying. Another reason why the FINIS Neptune is so amazing. It completely averts this problem. Another thing to be mindful of is the depth. Do not plan any deep diving with these devices as they can be damaged in deeper water and can cause water to leek into them. So be mindful not to overdo it. Finally the quality of the sound is what deduces how happy we are at the end of the day as we can overlook some minor things as long as the sound quality is acceptable. Unfortunately this is best tested from firsthand experience that is why we advised you take a look at the Travelon as some sort of a test model for having a go at this category of headphones, to see if this sort of thing is even for you. There are some really good pairs in our list though like the SwimBuds Waterproof headphones or the SYRYN 8 GB Waterproof Headphones. We hope that this has helped you find the perfect fit for your taste and narrowed your scope, giving you a little insight into what’s available and giving you a in depth look into how they work. Good thing with the constant evolution of technology, we now have headphones with a wireless feature and waterproof feature as well. So far it will all depend on the user’s perspective of what kind of headphones they want that perfectly fit to their needs. But so far, the list that you have are superb!